We are dealing in all type of printer cartridges with good quality and good price from China. Empty printer cartridges oem esp HP virgin. Short on time? Let printer-cartridges sellers contact you. Category: compatible toner cartridge Suitable for Printer: HP ColorLaserjet CP2025N/CP2025ND/CP2025X/ CM2320N/CM2320NF/CM2320XI Color: C Y M K Page Yield: 2800p(A4,5%) OPC: new We can guarantee the following items. 1. High Quality toner powder, the same as original. 2. Vivid and extra fluent printing performance. 3. 100% testing before delivery. 4. Factory Direct Sale. 5. 1:1 replaces any defective products caused by our manufactured. 6. Fast delivery time. Environmental specifications Operating humidity range: 10 to 80% RH Non-operating humidity: 10 to 90% RH Operating temperature range: 15 to 32.5° C Storage temperature range: -20 to 40° C. Neutral color package with air bag, OEM. Category: compatible toner cartridge Suitable for Printer: Brother HL-3040CN/2070CW/9010/9120/9130 Color: C Y M K Page Yield: 3000p(A4,5%) OPC: new We can guarantee the following items. 1. High Quality toner powder, the same as original. 2. Vivid and extra fluent printing performance. 3. 100% testing before delivery. 4. Factory Direct Sale. 5. 1:1 replaces any defective products caused by our manufactured. 6. Fast delivery time. Environmental specifications Operating humidity range: 10 to 80% RH Non-operating humidity: 10 to 90% RH Operating temperature range: 15 to 32.5° C Storage temperature range: -20 to 40° C. Neutral color package with air bag, OEM. Category: Remanufactured toner cartridge Suitable for Printer: HP Laserjet P2015 Color: Black Page Yield: 7000p(A4,5%) OPC: new chip: with We can guarantee the following items. 1. High Quality toner powder, the same as original. 2. Vivid and extra fluent printing performance. 3. 100% testing before delivery. 4. Factory Direct Sale. 5. 1:1 replaces any defective products caused by our manufactured. 6. Fast delivery time. Environmental specifications Operating humidity range: 10 to 80% RH Non-operating humidity: 10 to 90% RH Operating temperature range: 15 to 32.5¡ã C Storage temperature range: -20 to 40¡ã C. Neutral color package with air bag, OEM. Category: remanufactured toner cartridge Suitable for Printer: Konica Minolta 1300 Color: Black Page Yield: 3000p(A4,5%) Chip: with OPC: new We can guarantee the following items. 1. High Quality toner powder, the same as original. 2. Vivid and extra fluent printing performance. 3. 100% testing before delivery. 4. Factory Direct Sale. 5. 1:1 replaces any defective products caused by our manufactured. 6. Fast delivery time. 7. Environmental specifications Operating humidity range: 10 to 80% RH Non-operating humidity: 10 to 90% RH Operating temperature range: 15 to 32.5¡ã C Storage temperature range: -20 to 40¡ã C. Neutral color package with air bag, OEM. Category: compatible toner cartridge Suitable for Printer: HP Laserjet 1010/1012/1015/1018/1020/1022/3015/3020/3030 Color: Black Page Yield: 2000p(A4,5%) OPC: new We can guarantee the following items. 1. High Quality toner powder, the same as original. 2. Vivid and extra fluent printing performance. 3. 100% testing before delivery. 4. Factory Direct Sale. 5. 1:1 replaces any defective products caused by our manufactured. 6. Fast delivery time. Environmental specifications Operating humidity range: 10 to 80% RH Non-operating humidity: 10 to 90% RH Operating temperature range: 15 to 32.5¡ã C Storage temperature range: -20 to 40¡ã C.
Golden Ocean Enterprise Int'l Ltd.
Sagacity International Technology Co., Ltd. 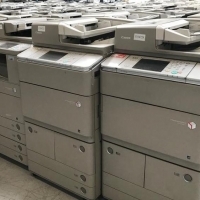 Compatibility: Compatible with Epson Large-Format Printer 7880/9880 Advantages: A complete set of Epson 7880/9880 CIS system is consist of 8/9pcs refillable empty cartidges whose volume is 220ml respectively. The cartridges supplied with your Epson printer are removed, then replaced with our CIS cartridges. These are easily filled through refill hole at the rear of the cartridge. Having a transparent case you know the ink level inside the cartridge at all times. These Ink System Cartridges are provided as a replacement for the standard Epson Stylus 7880/9880 Printer Cartridges. That is the complete system which unctions just as a normal printer would, only costing a fraction of you're hard earned dollar $$$$ to replace the inks.